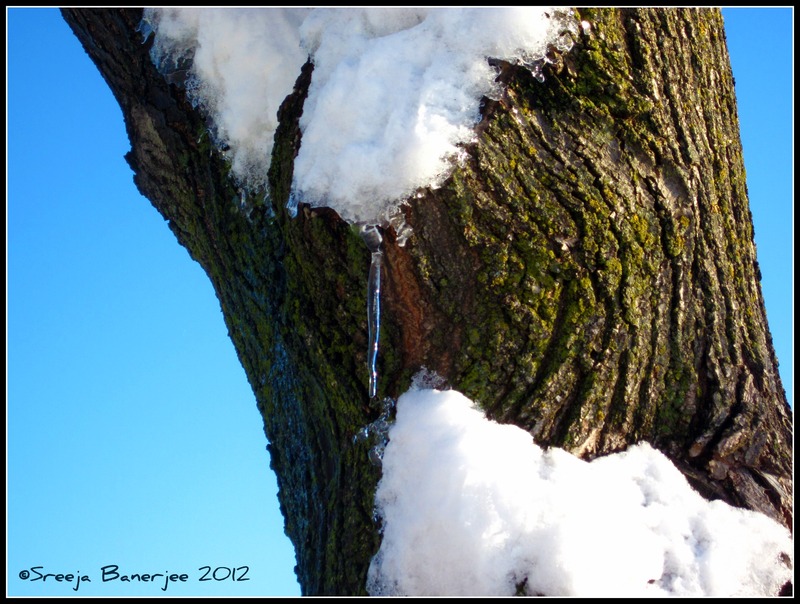 The tree photographed above taught me a very useful lesson of surviving in a place having snowy winters: watch out for your head (through the day) after you have had a heavy snowfall! Yes, I was struck a couple of times as I stood beneath this tree trying to catch a few snaps of a red fire hydrant by the snow (something which I have always wanted to do). 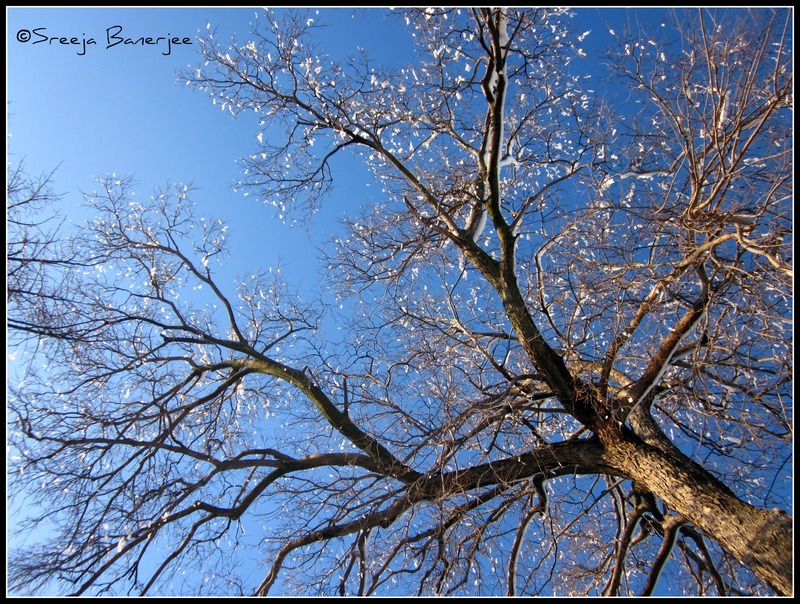 Thankfully, the weather was warm, and the snow was mushy, and since it was late after noon the tree had already let go of most of its burden… I wasn’t that hurt! But could have been serious.. I also learnt to watch out for not only trees, but building and any kind of shade whatsoever. 🙂 Hope you enjoy the snap!